Pear Street Bistro has been serving up California comfort cuisine from its location in the heart of HistoricOld Town Pinole, California since 2002. In its 12+ years of operation, Pear Street Bistro built a loyal following of local diners and also became a destination for visitors to this hamlet located in the San Francisco Bay Area. In Q4 of 2012, Pear Street Bistro engaged Equalize Advertising Solutions to update the look and feel of the restaurant’s interior – specifically, to utilize digital signage to bring its menu to life. 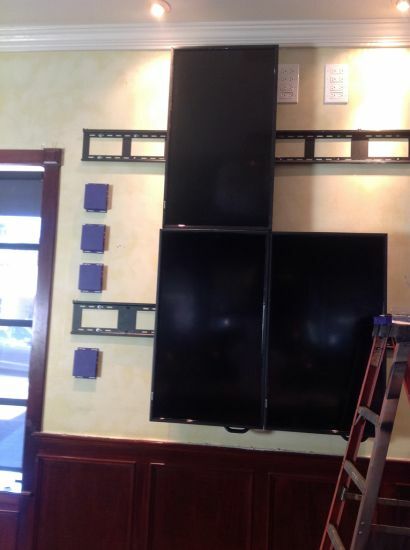 Since the video wall’s installation, Pear Street Bistro’s owner has noticed an increase of approximately 10% in both patron traffic and food/drink sales. Such an increase translates directly to revenue that offset the cost of installation in just a matter of nine months. Equalize Advertising Solutions won the DSE 2014 Gold Content Award in the Food & Beverage category for content created for Pear Street Bistro. Click here to watch the YouTube video.